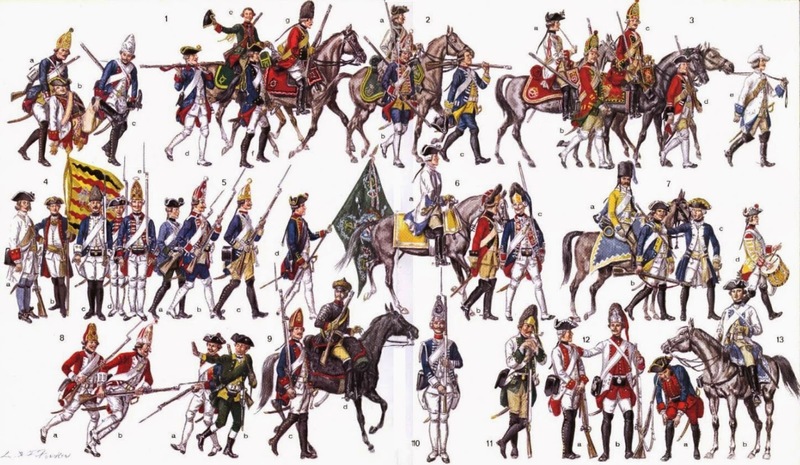 Soldiers of the Minor German States - Seven Years' War Period. 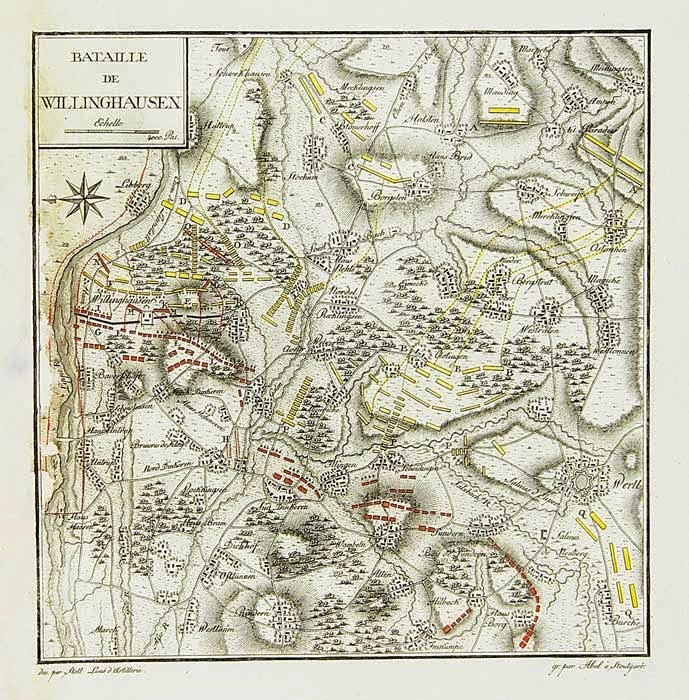 The Battle of Vellinghausen was fought on July 16, 1761 in Western Germany between the French armies of Soubise and Broglie and Prince Ferdinand's Allied army. You can find more by going to www.britishbattles.com or Wikipedia. Savory has a more detailed account of this battle. Vellinghausen, had the potential to be the decisive battle of the war. Had things gone to plan, the French would have destroyed Ferdinand's Anglo-Hanoverian army so leaving Frederick's Western flank wide open. In a nutshell, the armies of Broglie and Soubise, managed to outmanoeuvre Ferdinand and bring him to battle at a disadvantage [92,000 French against 65,000 allies]. Ferdinand took up a defensive position behind a stream in generally enclosed terrain [woods hedges etc] completely unsuitable for cavalry. The French plan called for a frontal attack by Broglie and Soubise to pin the Aliied army while detached corps performed a flank and rear attack, cutting off any possible retreat. The battle was hard fought over two days of confusion and at close range. 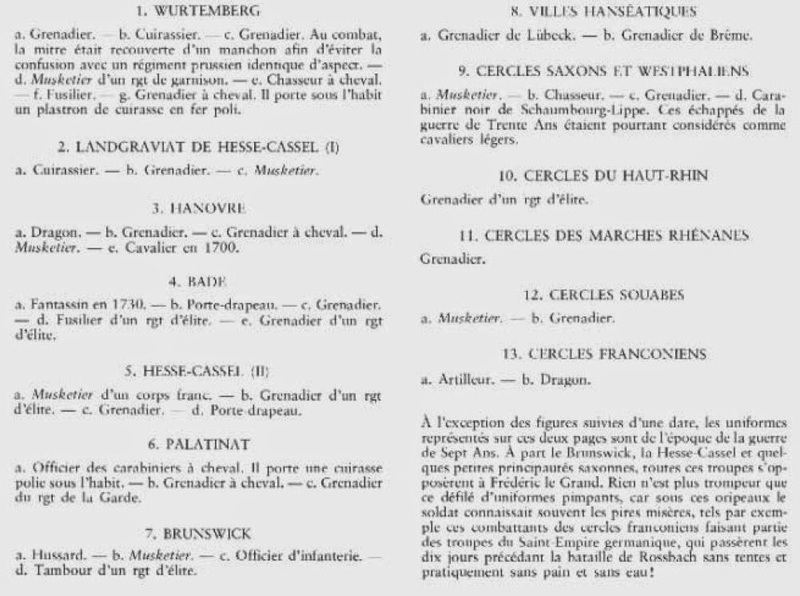 On the first night Ferdinand gambled everything by switching the bulk of his army to attack Broglie, leaving 23,000 men to face the 68,000 under Soubise. Broglie attacked the following morning, expecting to break through the weakened line of the day before, only to find himself outnumbered and being counter-attacked. He sent messages to Soubise for help, but Soubise failed to press home his attack despite having a local 3:1 superiority. The Flank and rear attacks encountered Allied light troops and inexplicably withdrew, apparently under the impression they were being engaged by superior forces. Broglie's force of 32,000 suffered almost 5,000 casualties, against 300 suffered by Soubise' 60,000. The allies lost 1,400 against Broglie, and 62 against Soubise. After the Battle Broglie was understandably upset with Soubise performance and their subsequent relationship was strained, to say the least. During the course of the battle, Sandford's British brigade and Mannsberg's Brunswick brigade attacked in what can only be described as dispersed, irregular order, "in groups and batches, rather than in lines" to quote Savory.